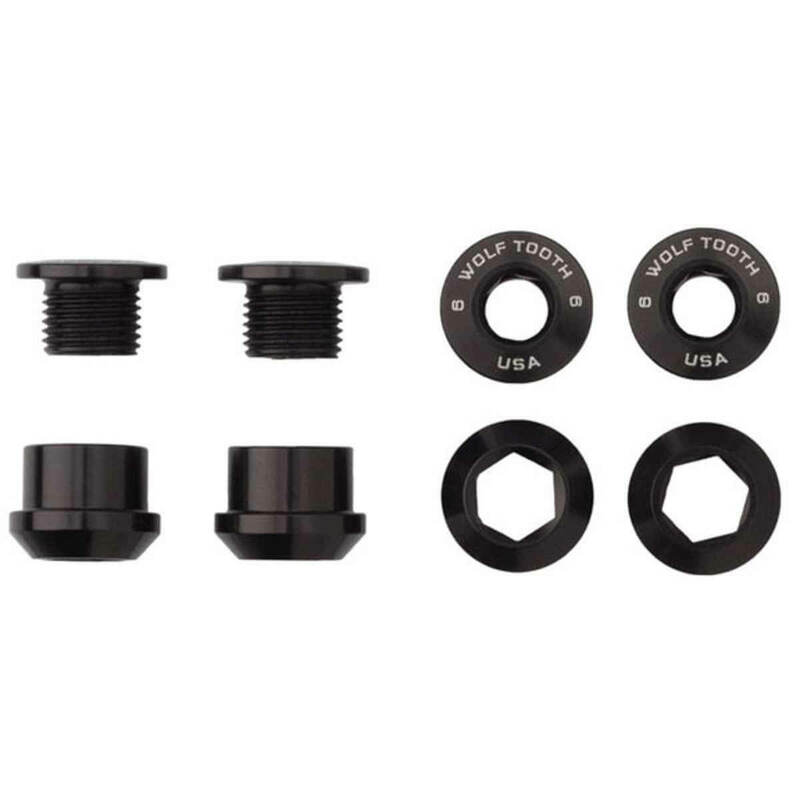 The Wolf Tooth Components 1x Chainring Bolts are specifically manufactured for 1x chainrings. The bolts feature a 4 mm hex socket on the bolt and a 6 mm hex socket on the nut and are 6 mm long, which makes them the perfect length for 1x. They are made from 7075-T6 aluminum for strength and durability and weigh only 8 grams per set.